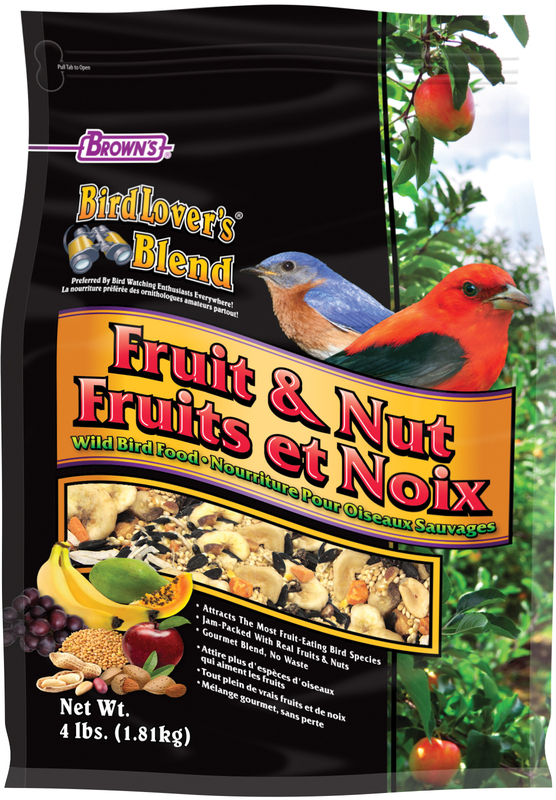 Bring Nature to Your Backyard: Our Fruit & Nut blend attracts nature’s most colorful feathered friends into your backyard. 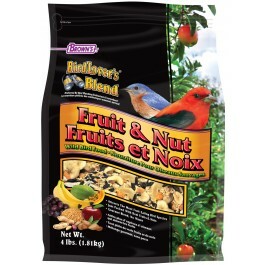 These songbirds love the best ingredients nature has to offer, such as tasty fruits, luscious berries, and crunchy nuts. We jam-packed this gourmet food with their favorites. We believe this blend will fulfill all your bird feeding needs and bring all the rewards of this enjoyable hobby. Year-Round High Energy! It’s power-packed with nuts providing high oil- and fat content, energy-giving fruits, plus seeds and grains with essential carbohydrates, minerals, and vitamins. No Fillers Here! 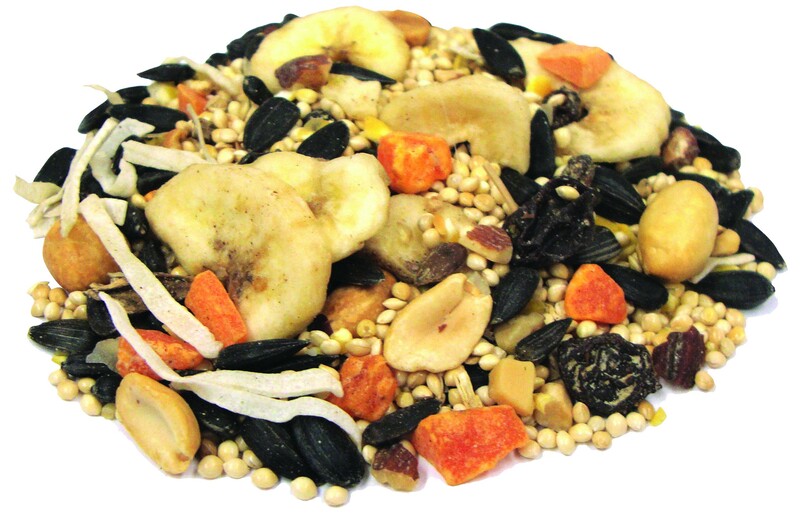 This blend contains only the premium gourmet seeds and grains songbirds of all sizes and varieties crave! A Gourmet Blend! This isn’t your ordinary bird food! There are lots of real fruits and nuts that fruit-loving birds crave. It’s jam-packed with pineapple, papaya, raisins, bananas, apples, coconut, almonds, peanuts, and safflower seeds. Attracts the Most Bird Species! This blend is a favorite of orioles, bluebirds, tanagers, rose-breasted grosbeaks, chickadees, titmice, woodpeckers, and a wide variety of songbirds. That’s because we selected the fruits, nuts, seeds, and grains we know they’ll love. It’s the best blend for all seasons, climates, and regions. Use in most any style feeder. White Proso Millet, Black Oil Sunflower Seeds, Cracked Corn, Peanuts, Raisins, Dried Banana, Dried Papaya, Almonds, Dried Coconut, Dried Apples, Artificial Banana Flavor and Sulfur Dioxide (a preservative).